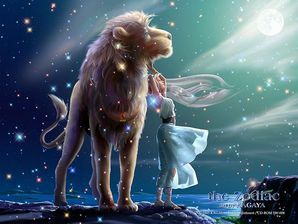 Leo people like speculative ventures, lavish living, pageantry and grandeur, children and drama. They do not like doing things safely, ordinary living from day to day, small-minded people, penny pinching and mean spiritedness. A Leo person will find that focusing more intently on particular chakras, that their healing will be increased, as they vibrate at a higher intensity with these chakras. The Solar Plexus Chakra is used by Leo people to increase and balance their desire, self love, self esteem, personal will, self empowerment, honour and responsibility. The Heart Chakra is used to increase and balance their compassion, empathy, joy, trust, appreciation, communication, movement and touch. The Throat Chakra is used by Leo people to increase and balance creativity, intention, higher will, communication, faith, truth, knowledge, expression and choice. Attributes - Prepares you for conflict. Helps you regain a foothold after a defeat. Eases the resolving of conflicts and helps make up for damages. Rejuvenates and revitalises; stimulates the circulation, blood flow and your self healing power. Message - Calmly re-focus, re-crystallise ideas, create new outcomes. Focus - You are an emotional person, drawing on personal life experience to generously help others. Affirmation - My genuine self-confidence is irresistible. Attributes - Harmonises inner restlessness and helps you fall asleep. Promotes abstract thinking, concentration and memory. Improves wound healing, eases diabetes and strengthens the brain, skin and immune reaction. Stimulates love, compassion and kindness. It opens and aligns the heart chakra. Message - Transmit, alter, alleviate, and focus on healing. Focus - You consciously relate to other people’s pain with empathy; you provide sound, helpful, practical advice. Affirmation -I proliferate, empathy as a remedy to help others. Attributes - Brings hope, optimism, confidence, determination and material comfort and Treats bronchitis. Protects against danger & toxins. Enhances memory & intellect. It is used for healing and balancing the aura via repelling negative energy. Has been used in treatment of bronchitis, to regulate metabolism and to strengthen the walls of the blood veins. Message - Physically transforming, reflecting heart-felt personal choices. Focus - You evaluate new concepts, eliminate old belief systems, and promote new ideas. Affirmation - I resolve to be attractive in my physical and spiritual appearance. Attributes - Promotes unity and integration. Helps dissipate inner conflict and obsessive strain. Helps cope with contrasts by allowing each aspect its necessary space. Good for the small intestine and kidneys as well as for middle and inner ear problems. Message - Instinctive fulfilment of emotional, physical and survival needs. Focus - An adventurer, you enjoy risky activities and motivate others to accomplish their goals. Affirmation - With confidence and purpose I seek out like-minded, successful people. Attributes - Promotes spiritual advancement. Good for coming to terms with early childhood experiences and other emotional scars. Helps examine yourself and let go of unnecessary things. Harmonises and de-cramps during abdominal discomfort. Message - Resilience and enduring strength lead to higher awareness. Focus - You are a rock of strength and support, enabling others to withstand hardships. Affirmation - I am blessed with stability of mind from which I have a panoramic view. Attributes - Promotes independence. Dissipates anger, rage and a guilty conscience. Helps you break away from external influences as well as being able to admit your mistakes. Strengthens the liver, gallbladder and small intestine; detoxifies and helps with infections, fungal and warts. Message - Engage ancient, contemporary and future traditions, customs and ideals. Focus - You have the ability to evaluate people and situations, distinguishing and refining the best from what is available. Affirmation - I am fully self-aware; my status and self-esteem are high. Attributes - Promotes a love of truth and composure. Calms and helps with depression and hallucinations. Makes you more sober and urges examination or the integrity and reliability of yourself and others. Help with diseases of the intestine, brain and nerves. A powerful talisman, Star Sapphire acts as a guide and protector. Message - Constant assurance that planning and navigation are correct. Focus - A figure of light and hope, you instil confidence in those around you. Affirmation - I look to the heavens for inspiration and beauty. Attributes - Promotes vigour and determination. Relaxes, helps you overcome obsessions and obstacles. Helps you make important decisions and tackle huge piles of work. Soothes the nerves, relieves pain and releases cramps. Message - Vision, revolution, loyalty and progression. Focus - You sympathise with people who have to struggle, which makes you a great friend and confidant. Affirmation - I use self-expression as an avenue for dramatic change. Attributes - Promotes gentleness. Calms overwrought nerves and makes it easier to resolve conflicts. Helps people who bear grudges let go of the past. Eases pain, reduces fever and heals swellings and bruises; helps with problems of the bladder. Message - Skilful ability to manifest beauty and appreciate imaginative influences. Focus - You are able to create beautiful forms as it is your own spirit that fills the creation and makes it beautiful. Affirmation - To beautify my surroundings, I invite graceful, skilful craft into my life. Attributes - Promotes self respect and a sense of beauty. For encouragement and optimism, makes you more life affirming. Aids inspiration, learning ability and logical thinking. For cleansing and regeneration; helps with problems of the kidneys, bladder and ears. Message - Appreciation of natural and divine cycles. Focus -You share with friends and family the ideals of simplicity, nature, beauty and love in their purest forms. Affirmation - I believe in reincarnation; this symbol’s timelessness helps me each day. Attributes - Promotes integrity and purification. Helps you overcome emotional boundary violations and emotional strain. Lends you the ability to examine and resolve unpleasant issues. For tissue detoxification in problems of the skin, mucous membrane, lungs and intestine. Message - Simple pleasures, sharing happiness and friendship. Focus - Past life sacrifices have paved the way for success in this life – remember to make time to relax and enjoy. Affirmation - At this moment I am free, joyful, and contented with myself. Attributes - Richterite is a sodium calcium magnesium silicate mineral belonging to the amphibole group. Colours of richterite range from brown, grayish-brown, yellow, brownish- to rose-red, or pale to dark green. Promotes wisdom and foresight. It gives you a good sense of right timing. Broadens your horizons; helps recognise trends early and assess them. Enhances the kidneys and regulates mineral balance. Message - Sociable encounters radiate goodwill. Focus - Relaxing with friends, entertaining groups, and networking rejuvenate you. Affirmation - I have wonderful friendships, and happy memories. Message - Gentle, silent reflection; reminiscences. Focus - You can digest thoughts, impressions and events accurately and nostalgically; you have rich life experience. Affirmation - I happily share wisdom when I recount personal memories. Attributes - Promotes humility. Improves empathy, helps with difficulties in making contact. Helps accept criticism, promotes tolerance and readiness to serve. Helps with neuralgia, sciatica and toothache; releases tension in the heart chakra. Message - Heartfelt honesty, truthfulness and loving emotions. Focus - You are candid and charismatic; you are receptive to information, people and situations. Affirmation - I know synchronicity works to support soul connections and karmic ties. Attributes - Promotes sociability. Helps dissipate fear of physical contact and integrate yourself in communities. For a good contact with the environment. Enhances cleansing, detoxification and excretion; purifies the connective tissues, intestine and mucous membranes. Message - Glamorous self-confidence, strongly encouraging new alternatives. Focus - Your stamina and will help integrate society’s exacting standards with ethics and personal happiness. Affirmation - I believe I am dramatic, sociable, assertive and marvellous.